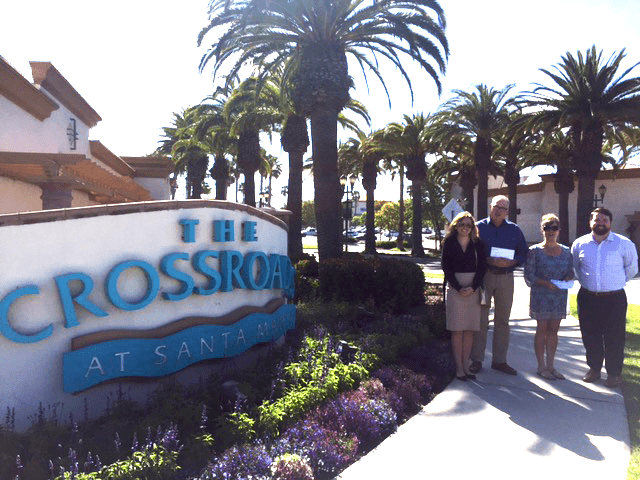 Santa Maria, CA (August, 2016)– Westar Associates, a real estate development company that operates The Crossroads & College Square shopping centers in Santa Maria, has donated a total of $7,500 to the Good Samaritan Shelter, Central Coast Rescue Mission, and the Santa Maria Firefighters’ Benevolent Foundation organizations to show their support for local non-profit organizations in the Santa Maria community. The Good Samaritan Shelter nonprofit organization aspires to save lives and improve the health of those in need on the Central Coast. Since 1987, the organization has provided the community with many programs addressing homelessness as well as alcohol and substance abuse. They assist in providing shelter, affordable housing, clean and sober living, drug and alcohol treatment, outreach and education within the local community.